If you have any questions regarding the Directory and classifieds training please ask them here, using comments. Agnes, the author will be happy to help you. When we reply to your comments, you will receive an email notification. Specify which part of the course you have questions about. Describe what you do, what you expect to see and what you see instead. I see all the components that make up the site and can view them (posts, forms, sliders, adds lists and images). But I cannot see anything on the homepage where I would expect to as the site was imported using the reference site tutorial. So could you please explain what I need to do to achieve that please? In the “Classifieds – frontpage” edit scree I see “content template” Page-Classifieds. And in Template and Layout I see “Default Template” I see nothing in the large white WP edit box which shows Add Media, Field Views, Cred Forms & Access. I have tried to place info in there using text and also “field views” but still see nothing. Not even the text I type… Please explain to me why it is this way. I have been at this for 2 weeks and have yet to see any info on any page as such. let me make sure I understand the steps you did. 3. If you view any of your pages they show blank, right? and then install it again. Option 2. If possible, try to install on another server (or locally) to make sure if the issues you have are your host related. Option 3. Switch the theme to a different one, and then deactivate Toolset plugins one by one to locate the one causing the problem. In none of the above helps, please register a ticket in our support forum since only our supporter can access your site. I’m the author of the Classifieds tutorials and I can help with any issues related directly to the materials covered in this series. I really wanted to learn about your set of plugins, so I signed up for a demo site and started playing with it for a while. Unfortunately, the results were not as good as I was expecting. I opened a new browser window in incognito mode, switched the website language to Spanish and posted a free ad as a website visitor (actually I did this three times after realizing I was not getting the expected results). After posting the ad and entering some dummy personal details, I noticed two different links to “my account”; one of them, pointing to an account page in English, and the other, to another completely different account page in Spanish. 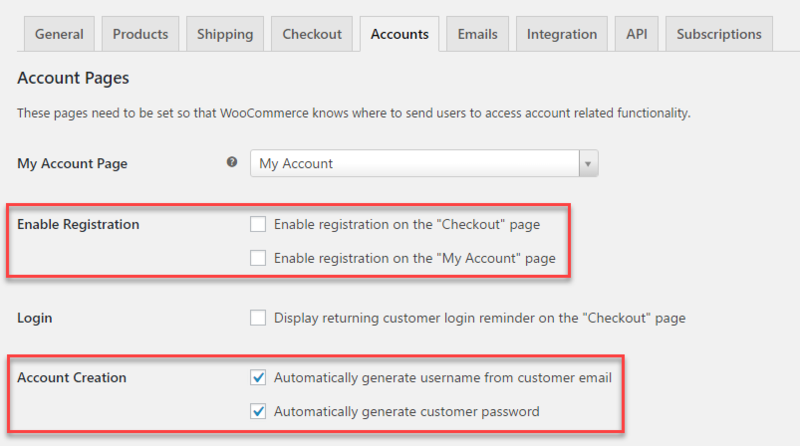 I guess that the user registration system from WooCommerce clashes with that of the Toolset, and that explains the 2 different account pages. Then I went to the admin panel to publish the ad, and found that the ad showed two different expiration dates, and the picture was not displaying. The picture appeared to have been successfully uploaded to the site when I created the ad (at least I didn’t get an error). The reason I have taken these screenshots and I am writing here, is because I spent a whole day reading about your set of plugins, and I had big hopes that they would help me in earning my living building websites for clients. But after seeing these really ugly results, I feel too discouraged and tired to continue exploring your product. I hope I’m mistaken and you can tell me what did I do wrong. thank you very much for your feedback and all the details – they help a lot. 1. Two links to My account page. Yes, this is confusing. One date is a global expiry date and the other one is set by the user. In your solution feel free to use only one. The Car classifieds site definitely calls for an update and we must make it easier. Thank you for your response. I think I’m going to give it another try, simply because your documentation is superb. Your closest competitor is very lacking in this regard. Please keep posting case studies and setting up demo sites and other learning resources. Thank you. If you have more questions, please feel free to ask me. About 4 months ago, I started the project (i think this directory was, may be based on my request for a directory site that could have paid membership). Okay so the first month went really well and all seemed fine – it fact i was quite pleased with myself. However i found that the tutorial became fragmented and confusing, to the point where the was a heap of upgrades and changes – that at my level at the time made Toolset un-workable for me. I did get to the CRED stage. You did say this is no small project to undertake ! Saying that your guidance was superb and i must say professional aptitude is fantastic – made me want to reboot, my project – one problem was i should have definalty set up the site as a project with toolset first as opposed to my private server (as my attitude was, it willbe okay on my server – hmm should have listened to your advice, Note to all) as i believe you folks at Toolset have SA powers, I will set one up over the next few days and start to rebuild/reboot and start again all vanilla smelling. This also gives me a chance implement some new ideas. So my question is how complete is the tutoral now, you mention above that “…solutions are out there and some of them are”. Is the tutoral going to be updated to reflect these changes ? Layouts 1.9 looks awesome and the new way of “The simple answer is – “All of them, together!” will this be factored in ? I would like to hear your detail feedback. I’m sending you an email, maybe it will be easier to share it in a Skype call. I have a support ticket for this question (https://toolset.com/forums/topic/replies-to-ads/#post-473285) but thought I’d add the comment here. I’d like to add a reply to ad option so visitors can contact the ad author from my site and I can ensure the ad author knows the enquiry came from my site. I thought I could create a new post type of replies and a CRED form but how do I send the notification to the original ad author? 1. Create a CRED Post Form for editing your ads. 2. Don’t include any of your ads fields for editing (you can only display their values or make them read-only) – the idea is that this form won’t be used to change any of the ad’s values but only to trigger sending a notification. The only way to send an email from CRED is to either add a new post or edit an existing one (using CRED of course). 3. Include the field for entering the message. 6. Use Access plugin to allow visitors access this form. I cannot see a way to pass a generic field to the notification body. So it won’t work. Are you interested in a solution that would save the message along with the ad? Sorry I didn’t see this before I added the code below. There’ll be multiple replies, I guess I could just keep the latest reply. In that case, it makes sense to use generic fields – they are not saved in the database and this is what you need. This can be done only with CRED hooks. Let me ping our developers (and Luo, the supporter who handles your ticket) to ask if it would be possible to provide a sample usage of the hook that passes generic fields to email being sent. In our list of CRED email hooks I can see only one hook covered but there should be more. Right, in the meantime I realized that generic fields are not handled automatically by CRED notifications. You would need to pass them using a hook. If you are open to using simple PHP you can look at the code of the “Toolset Classifieds” plugin – it includes the messaging system. You will find this plugin in your Toolset Account under the Reference Site tab -> Classifieds. You can also ask our supporters for a way to handle generic hooks in CRED notifications. OK I’ll give that a go. I think this sort of thing would be a requirement for a lot of classified or business directory sites. Hi Bob, I talked to our developers. Turns out that currently in CRED we don’t have any specific filters available that could be used to add a generic field to the body of a notification or to customize the message content. The only filters we have are WordPress standard ones, such as ‘wp_mail’, ‘wp_mail_from’, ‘wp_mail_from_name ‘and ‘wp_mail_content_type’ and the one covered in our CRED hooks documentation I mentioned previously ( ‘cred_mail_header’). We will consider creating a specific filter in CRED for that purpose. I am trying to install a reference site using Framework. I used a completely new site and installed all the files that were needed. However in the reference sites it keeps saying “installation requirements not met’. This is the second try and nothing moves. Is it possible to reactivate the framework installer? I am not looking forward to preparing the site for the third time. yes, this is due to the timeouts probably. Please register a ticket on our support forum so our supporters can investigate it further for you. In the meanwhile I will ping our admins to see what we can do about it – it happened to me a few times as well. Usually shared servers or local sites have very limited timeouts that sometimes they are not sensible at all (e.g. other plugins like Duplicator fails also). This needs to be communicated with the hosting provider to adjust it. It looks like you got a corrupted installation. You could try to ‘reset’ (do you know how to do this with our Framework Installer?) the site and not only ‘reactivate’ framework installer (there is a big difference on this). Resetting the site clears the dB and gets it ready for installation, it also removes corrupted settings. Framework installer is the only plugin that needs to be activated after a site refresh. It is because framework installer will automatically activate the rest of the required plugins. If you need more help on this, please create a forum ticket so we can look more into it. Thanks! Thanks for your elaborate reply. I decided to give it a go on my local server and that worked. Later I can transfer it to a remote server probably without these issues (as I never have them with other installs). Great it worked. Yes, you shouldn’t have these issues when transferring it between your servers. A fill in with message, e-mail, Name, Phone number. Also how can i setup the images to be thumbs that are clickable to pop up? So it dose not take up so much space on the page. you would need to create a Contact form using the Toolset CRED plugin and add it to the piece where you display a single listing. but in your case, the Webinar would be your Ad, and the Webinar participation would be your Contact Entry. This connection is optional, but if you use it, when you enter your Ad on the back-end, you will see all contact entires for that specific ad below it. Yes, you can set up images to be thumbs that are clickable. Is there an e-maill setting I can pick that will pull in the listing persons e-mail for this to go to them doing it this way? then, in the email body you need to include the fields from your form: message, e-mail, Name, Phone number. You can also add a read-only field with a post title value wpv-post-title id=’$current_page’ (this is a shortcode, wrap it in [ ]) so the sent contents always include a reference to the add. Edward, here, in comments I can share only general hints and I cannot investigate your site and your specific case. Please open a ticket on our support forum if you need an in-depth analysis. Sorry, i was working on the site the link is working now. If I make the new fill in area then how do i place it the BB template page to replace the BB version I have it in now? You would need to create a template for your single ad pages using Toolset plugins. Is there any more detailed information on adding the links for managing resources to the My Account page? Are they Views filtered for the author and currently logged in? Okay thanks. So you have to display the user’s posts in order for them to edit them? You cannot just display the form, perhaps on the My Account page itself? You can do that too. I thought you were asking about a View. but today the discover-wp.com will be closed for a few hours (we will be changing the theme). If you are our customer, you can also ask for help in our support forum. Thanks – how do I get to the back end of those demo sites? I see, no worries, thanks again. You can also install all these sites in your WordPress if you use our Framework Installer plugin. We will be closing the discover-wp.com soon.